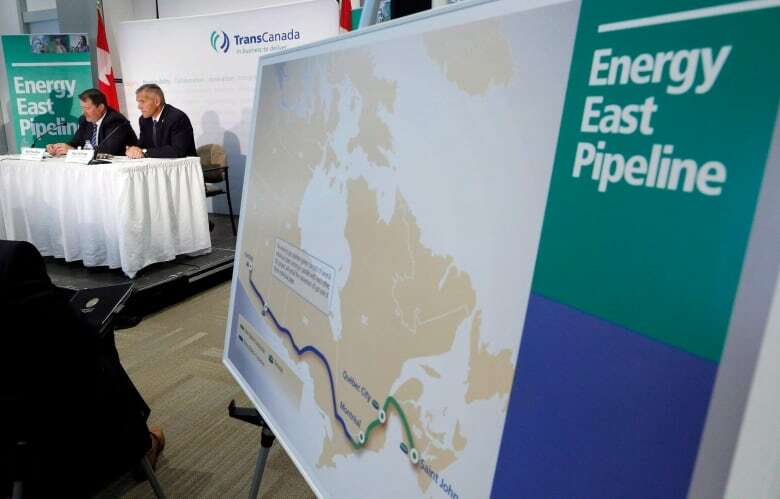 TransCanada says it won't proceed with its Energy East pipeline and Eastern Mainline proposals. Russ Girling, the Calgary-based energy company's chief executive officer, said in a statement that National Energy Board and Quebec officials will be informed TransCanada won't go forward with the applications. "We appreciate and are thankful for the support of labour, business and manufacturing organizations, industry, our customers, Irving Oil, various governments, and the approximately 200 municipalities who passed resolutions in favour of the projects," Girling said in a release. "Most of all, we thank Canadians across the country who contributed towards the development of these initiatives." The proposed Energy East project would have carried more than one million barrels of oil every day from Alberta and Saskatchewan across the country to be refined or exported from facilities in New Brunswick and Quebec. It would have added 1,500 kilometres worth of new oil pipelines to an existing network of more than 3,000 kilometres, which would have been converted from carrying natural gas, to carrying oil. The company first proposed the project in 2013, when oil prices neared $100 a barrel. But the project's future had come in doubt since then as the economics changed, and regulatory and environmental hurdles started piling up. Numerous Indigenous groups located along the pipeline's proposed route were against the plan, and many felt vindicated on Thursday. "Both the Northern Gateway fight and this Energy East one show that when First Nations stand together, supported by non-Indigenous allies, we win," said Grand Chief Serge Simon of the Mohawk Council of Kanesatake. In a regulatory filing with the National Energy Board (NEB) on Thursday, the company cited "existing and likely future delays resulting from the regulatory process, the associated cost implications and the increasingly challenging issues and obstacles," facing the project with the decision to pull the plug. While opponents to the project were claiming victory, the government said the move was one the company opted to make for itself, with Natural Resources Minister Jim Carr calling the cancellation a business decision. "Conditions have changed," Carr said. "Commodity prices are not what they were then." As recently as last month, TransCanada suspended its application to the NEB and hinted it might decide not to pursue the project in light of the regulator's new, tougher review process. TransCanada shares were slightly higher on Thursday, an indication that investors weren't surprised by the news, considering TransCanada announced last month it would undergo a "careful review" of the process. "We were not assigning much of a probability of the project proceeding as scheduled," TD Bank analyst Linda Ezergailis said in a note to clients after the cancellation was announced. Energy East was an oil pipeline, but the Eastern Mainline project, which was also killed on Thursday, would have transported natural gas along the north shore of Lake Ontario. New Brunswick Premier Brian Gallant said in a statement that the company's decision not to move forward with Energy East is "not good news" for those who wanted to see the pipeline built, including the provincial government. "Like many New Brunswickers, we are disappointed. The project would have created jobs in New Brunswick and helped the Canadian economy," Gallant said. His counterpart in Alberta, Premier Rachel Notley, echoed those sentiments, saying, "We are deeply disappointed by the recent decision from TransCanada. We understand that it is driven by a broad range of factors that any responsible business must consider. Nonetheless, this is an unfortunate outcome for Canadians." 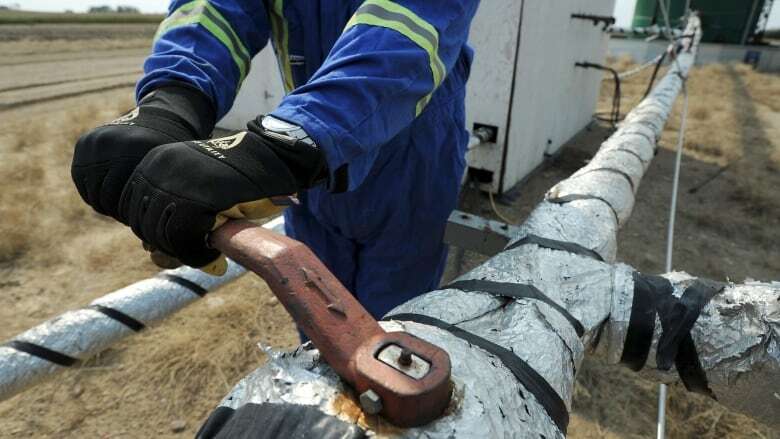 The Canadian Energy Pipeline Association expressed its disappointment with the decision, and blamed governments for forcing the company's hand. "The loss of this major project means the loss of thousands of jobs and billions of dollars for Canada, and will significantly impact our country's ability to access markets for our oil and gas," CEPA said. "Pipelines are the only viable way to move large quantities of oil and natural gas to markets, safely and responsibly. With global demand for energy expected to rise and extensive supply potential in Western Canada, Canada will be missing out on a significant economic opportunity if governments do not see value in pipeline projects such as Energy East." Canada's oilpatch needs new customers. Who's willing to buy?